One of the enduring real-life mysteries to intrigue amateur sleuths and professional historians alike for decades is the strange story of the Mary Celeste, a Canadian ship which sailed into Gibraltar Bay on December 13th 1872 with no sign of anyone on board. Upon being boarded, it was found that aside from missing Captain Benjamin Spooner Briggs who set sail with his wife, two-year old daughter and a crew of seven, there was evidence such as unfinished food to suggest a hurried evacuation – but no sign of any of the occupants was ever seen again. The tale became known to the public thanks to the fictional short story J. Habakuk Jephson's Statement written by Sherlock Holmes author Sir Arthur Conan Doyle in 1884. Its popularity as fiction eclipsed knowledge of the true events’ circumstances enough for some of his incidental details to be misinterpreted as the actual facts – Conan Doyle described the ship being in virtually perfect condition whereas in reality it was water-logged from rough seas. Also, the real vessel was missing one of the lifeboats (a possible explanation for the disappearances along with its condition) whereas the author chose to increase the mystery by not mentioning this. Also, the name of the vessel is usually known erroneously as Marie not Mary. According to the website maryceleste.net, the most likely explanation seems to be that the crew and passengers took to the lifeboat in a panic to escape perilous conditions but tragically didn’t survive in such a tiny craft: “The records of the Servicio Metrologico in the Azores says that the weather deteriorated that morning and a storm blew up involving gale force winds and torrential rain”. The theory that a mutiny caused the fraught situation is unlikely as it was a relatively short voyage and the Captain and First Mate were assessed as being fair-minded rather than tyrants. Either way, in 1935 The Mystery of the Mary Celeste became a film released as the second title by a little-known English production outfit called Hammer Films. The company was founded by amateur music-hall artiste Will Hinds in November 1934, inspired by his stage name of Will Hammer. That same year, Hinds met Spanish émigré Enrique Carreras and in May 1935 they partnered in the distribution company Exclusive which showcased their own Hammer films until the horror slump caused the latter to collapse in bankruptcy after only three more films in 1937. 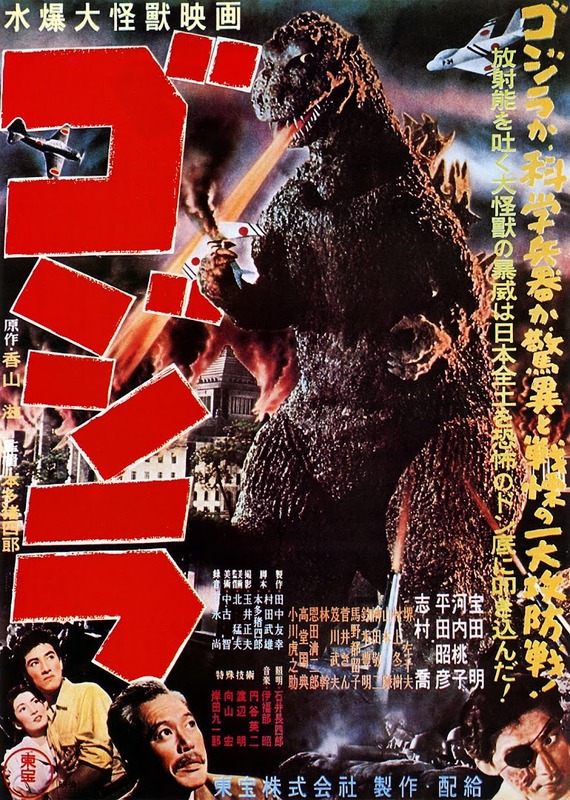 Exclusive survived the climate but it would be ten years before Hammer would surface again due to the pioneering entrepreneurship of Carreras’s son James in 1947 to become one of the world’s greatest studios of horror cinema. Originally the film ran at 80 minutes but the only version that exists now is the 20-minute shorter American print titled Phantom Ship which we’ll refer to from here onwards. The director and co writer (with Charles Larkworthy) was Denison Clift who began as a scenarist for Cecil B. De Mille and continued as screenwriter while he directed, till after this move he focused entirely on writing for the screen and stage. 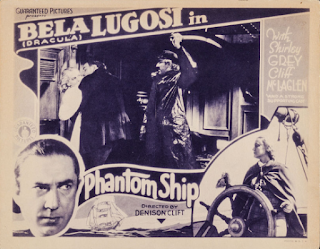 In the same way that Boris Karloff returned to England in 1933 to add dark lustre to British Gaumont’s hoped-for success in The Ghoul, Hammer had asked for Bela Lugosi to cross the Atlantic to bolster their murder-mystery. This is good news for Lugosi fans as in Phantom Ship he demonstrates the greater character actor range that was all too often lost in his post-Dracula typecasting. After a run of cookie-cutter, suave imperious Svengalis that may also have played on his vanity (he often alluded to the comedown from his days as a matinee idol back in Hungary), suddenly he turns up here eschewing the vain self-consciousness in favour of a touching vulnerability. 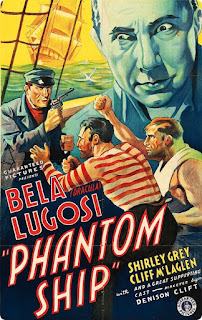 Lugosi is Anton Lorenzon, a penniless sea-dog burdened with a heavy unspoken past. 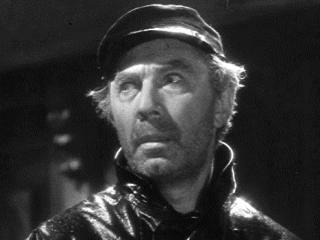 The debonair, self-styled romantic of earlier roles is unrecognisable with his grey hair, unshaven face and humbled demeanour, yet he becomes animated with fear at the mention of the Mary Celeste and Bilson, the First Mate. Lorenzon joins the crew under the assumed name of Gottlieb, and soon falls foul of the imposing Bilson (Edmund Willard)’s sailor superstition by bringing a cat on board, causing a fight with him. To add to Lorenzon’s misery, he kills a fellow crew-member who attacks Sarah in the Captain’s cabin. Soon Lorenzon is established as the ship’s Cassandra of doomy foreboding: “When this ship sails, Death sails on her”. For the first half of Phantom Ship, it’s a fairly dull crossing but then we discover that Lorenzen was shanghaied by Bilson on this same ship six years before and tossed overboard to the sharks when he proved too ill to work. Ever since, his desire for vengeance has burned within him and while we ponder the welcome intrigue of how he’ll do this, off-screen meanwhile the cast are gradually bumped off till there is just him, Bilson and the corpulent, tattooed Katz (former British Boxing Champion Gunner Moir). Bilson may be a lunk but he knows his deductive reasoning: “When the next man goes, I’ll know who it is. The one who’s left”. There’s a chilling sequence where Bilson and Katz go above deck and while the camera lingers on a mournful close-up of Lugosi, a gunshot heralds Bilson coming down jubilantly to announce he’s shot Katz. Clearly, Lorenzon has some assistance or competition in the killing, but nothing will stop him taking his revenge. He recounts how he murdered the Captain and his wife when they tried to flee. Bilson is shot in cold blood and tossed overboard, retribution metered out by Lorenzon for his own inhumane treatment - yet here is where the paranormal comes into play. Lorenzon is struck by the yard-arm and witnesses the ship’s wheel turning a course as if guided by an invisible hand. Lorenzon becomes filled with confusion either from concussion or, more ambiguously, an evil entity and roams the boat searching for Bilson in terror. What ultimately happens to make Lorenzon disappear is never explained, a nice touch of the supernatural that plays into the hands of imaginative theorists rather than a more prosaic ending. The ship is found empty making its way into Gibraltar port and amidst the questions, all Morehead can do is be consumed with grief: “"I am thinking of Briggs and her, dead!"